When your children reach the Middle School years, there is a shift that happens in parenting. For some it happens in 5th grade, for others it happens in 6th and 7th grade. It is a shift towards independent learning. Your goal in these middle years should be to foster independence. Don't worry, your children are still going to need you ~ A LOT! After all, this is where Algebra begins-LOL! The point is that now you shift from meeting all of their needs, to teaching them how to meet their own needs. This shift takes time, and patience. Lots and lots of patience and prayer! I'll share four things that can help you work on transitioning your children into independent learners before they enter the High School years. These are the things that we worked on (besides the obvious tasks of self-care, character traits, and changes brought on by puberty,) while our girls were in the Middle School years. When you children are still littles, you spoon feed them most of their learning. Now is where you show them how to learn something themselves. Help them learn how to use the knife and fork of learning. Show them how to take notes, how to memorize names or important dates, how to use a key-word outline, and how to write a short speech. As they work on mastering each of these learning skills, they will be able to formulate a plan of attack to learn about new subjects themselves. You are still ultimately responsible for making sure your students do their schoolwork, however, now is a great time to show them how to record what they've done. It teaches them a new skill and helps you keep better records yourself. Get them a planner, it can be from the dollar store, or a fancier one. There are a lot of student planners out there, but just a basic school-year calendar style one is a good place to start. Show them how to abbreviate for each subject or course, and record what they covered each day. Have them practice explaining it to Dad at the end of the week. It is a good recap for them, and a time to practice informal, informative speech skills. Your middle school aged student probably wants to spend time with their friends, and you want them to be some place safe. An organized club, sport, or volunteer activity several times a month can fit the needs of you both. Just put a limit on how many things they can participate in ~ save your sanity and your budget by limiting it to just a few times a month...not several times a week! These middle years are a great time to explore several different possible careers at a superficial level. Visit people in the careers your student is interested in either through a field trip, or by arranging an after-hours meet and greet. Let them choose books at the library based upon their own interests, and let them explore. Right now, when they're still under your ever-watchful gaze, is a great time to explore possibilities for the future. The pressure to choose is low, and the excitement to try something new is high ~ capitalize on it! Your middle schoolers are really turning into unique, thoughtful individuals. Cherish this time when they still want to tell you everything, and you'll get to keep that communication line open for the High School years. Do fun activities together because you can. Choose to spend days outdoors together, because now, you don't need to find a pit-stop every twenty minutes! Enjoy your children now while there is free time. High School is around the corner. Start talking to them now about possible courses of study, and then, ditch school on a sunny day and go hike in the park ~ because you can! Just write it down as gym class. Tomorrow we'll be back with one last stop in this big hop ~ tips for the High School years. In the meantime ~ go hug your kids! High School level Literature should challenge our students. To do this, one of two paths presents itself: longer works to read, or deeper works to delve into. Since Arlene has already proven that she is competent to read longer works of Literature, we were excited for her to be able to review the Ninth Grade Literature Guide Set from Memoria Press. Since Memoria Press specializes in Classical Education, I knew it would still be plenty challenging enough, even though she is currently in 10th grade. 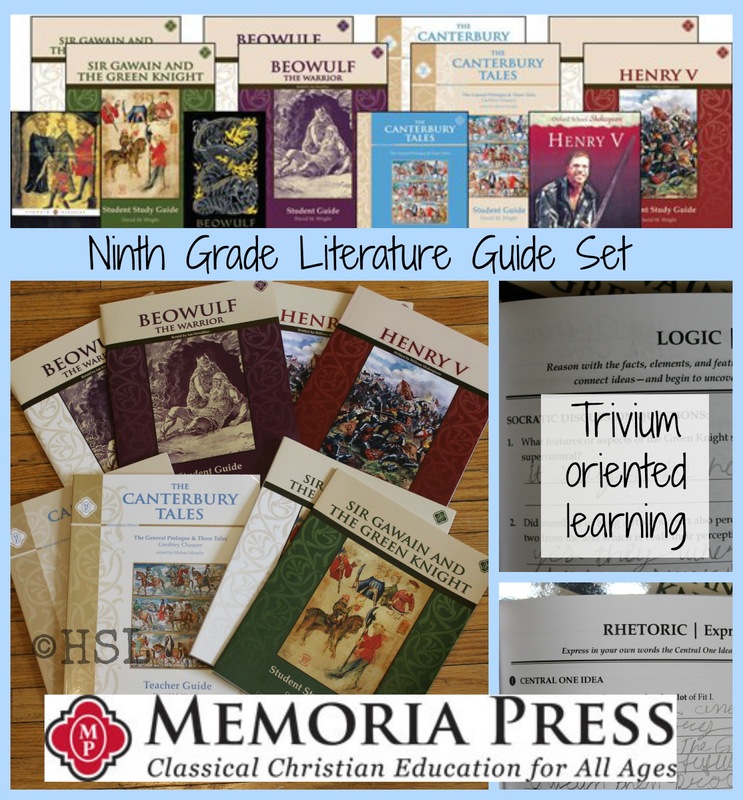 The Ninth Grade Literature Guide Set contains four sets of Student and Teacher books: Sir Gawain and the Green Knight, Beowulf, Canterbury Tales, and Henry V. The Ninth Grade set does not include the actual Literature books, yet they are available to purchase from Memoria Press either alongside the Set, or individually. The only title Arlene had previously read was Henry V, so I let her choose where to begin. She chose Sir Gawain and the Green Knight. She has been working on this for about 6 weeks, and is nearing the end of Sir Gawain and the Green Knight. She prefers to work on it in long chunks, so as to stay focused on the story, the vocabulary words, and the comprehension and discussion questions, a section of work each day. That has equated to about 2-3 hours a day, three days a week so far. 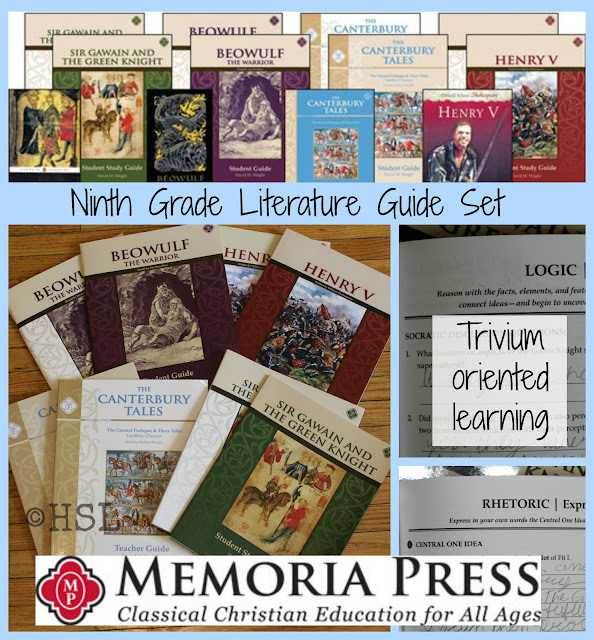 All of the levels of Literature Guides from Memoria Press encourage the student to be an active participant while reading, but beginning in the Eighth grade, they encourage the student to find and learn about the Central One Idea of each work through a four-part Trivium-led cycle. I have worked with Arlene on enough Classical Education based curriculum over the past four years to know that Trivium inspired learning works well for her, especially on more difficult concepts. By learning through the stages of Grammar, Dialectic, and Rhetoric, she learns the presentation, logic, and expression of ideas. We have found the guides from Memoria Press help the student walk through the stages without being rushed. These Ninth Grade Literature Set Student Study Guides have given Arlene enough information to help her dig deeply into the story, and enough room to record her thoughts, without being tiresome. Arlene wants me to highlight the importance of reading through the beginning sections in both the Student Study Guide, and the Teacher Guide before you have your student begin. There is a wealth of valuable information on how to best use the Student Study Guide, as well as a lesson on how to properly mark the margins of your text to make it easier to evaluate the most important passages, and thus work your way to uncovering the Central One Idea. For those not familiar with the Central One Idea terminology, it is an improvement upon the “find the main theme” course of study I was taught in High School, as it helps the student connect that Idea to other parts of their thinking, and evaluate whether the Idea is one to be held onto or rejected as not in line with their own beliefs or value system. I find this in line with Memoria Press’s tagline on the bottom of the covers: Docere, Delectare, Movere, which, with my limited Latin abilities roughly translates to: teach, delight, move. I want the Literature Arlene reads to teach her, for her to learn about what is good and true, I also want her to delight in a quality work of Literature. Truly, I want her to be moved by good Literature, and yet, that cannot happen if she cannot read and discern on her own if a book truly IS quality Literature. Memoria Press is doing a solid job of helping her acquire these skills. 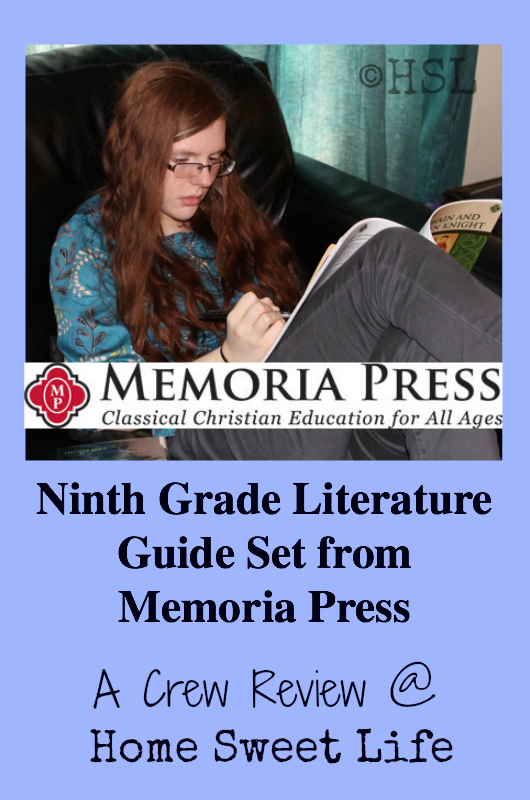 As with many other Memoria Press items we have used, there are varying levels of parental involvement available for the Ninth Grade Literature Guide Set. If your student has never studied in the Classical Education style before, you should expect to be heavily involved in their daily lesson time at least through the first guide. If your student is familiar with studying through the Trivium steps of Grammar, Logic, and Rhetoric, you may only need to oversee them as they work through each section of the guides, and be available for questions. My guess is that most Ninth and Tenth grade students will fall somewhere in the middle. They are going to need you to be available either during, or soon after they work on each section, several times a month. There will be some sections of these stories that stump them as they look for the Central One Idea. On others, they can understand the Idea, but may need some help in how to express that idea concisely in words. For those of us parents who were not brought up in the Classical manner, you will really appreciate the Teacher Guide where one or more correct answers is given for each student section. This Ninth Grade Literature Guide Set covers four distinctly different works of Literature, yet, they can be compared and contrasted as the student works though each one. Expect that your student will require the whole school year to effectively work through the four works using the Student Guides. Your goal in High School should be mastery, not just volume of works covered. Better to learn four works well, and retain what they have learned, than to say they’ve read 12 novels and yet cannot discuss any of them at length. In depth analysis of the Central One Idea is why The Canterbury Tales guide only attempts to cover the Prologue and three of Chaucer’s tales. Each guide specifies the version of the book recommended for use with the guides, even going so far as to provide the ISBN number for easier reference. When your student begins The Canterbury Tales, you will want to make sure they spend enough time reading through the Basic Features and Background section of their guide. It will help them better understand the way the Tales are written, plus remind them of key terms like: satire, irony, and imagery...all important features of the Tales. Also, have them pay attention to the Reading notes. There are a lot of them! (95 for The Pardoner's Tale, and 109 of them for The Franklin's Tale.) Use these helps to make understanding these old tales easier. The Student Guide for Henry V is set up similarly to the one for Sir Gawain and the Green Knight. It is divided into sections based upon the five acts in the play. There are quite a few words for the student to look up and match to definitions, and yet, because so many terms have changed their connotations since Shakespeare's time, there are still copious amounts of reading notes, similar to The Canterbury Tales guide. The guide for Beowulf is the shortest, yet it still gives the student direction towards an in-depth study of the three parts of Beowulf the Warrior. When you read through the Notes and Instructions to Teachers section, you are reminded once again that the student guides can be adapted to your particular context. If you are using this for a co-op setting,you may wish to divide up how much of each section is assigned per week, or, if you're doing it at home with only two students, consider whether they might only do a portion of each section's assignments. Each major section of each Student Guide has an Essay Option section, thus Beowulf has three of them. This is an opportunity for the student to synthesize what they have learned from their study so far and write a compelling essay, either based upon one of the several prompts provided, or based upon guidelines that you, the teacher, assign. If your student struggles with essay writing, or is already busy writing a lot for another subject, you may wish to have them give their essay as an oral report instead. Once again I was impressed with not only the ease of understanding how to use the Student Guides, but the amount of quality thinking that has gone onto this offering from Memoria Press. I find this an excellent choice for students (and parents) to employ to learn how to flesh out the Central One Idea of each story. This is quality Classical Education ~ solid, and not boring! I encourage you to view the sample pages on Memoria Press’s website, and think along these terms of: teach, delight, and move for your student’s High School Literature courses. If you’re wanting to see how the Classical Education style can be used for other subjects, check out these other reviews we’ve done for Memoria Press: The Book of the Ancient Romans, and Geography 1. 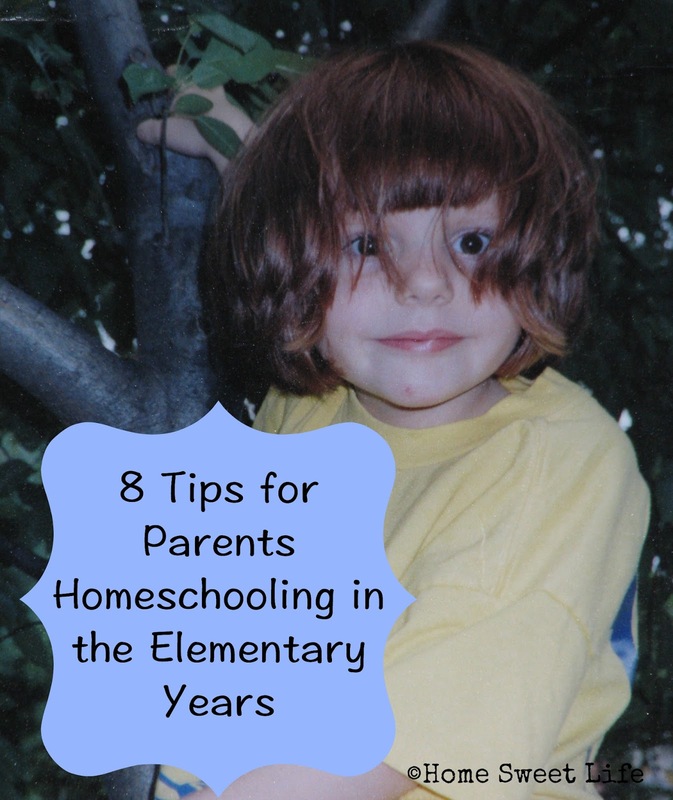 Many parents think that Classical Education is too time consuming for them to attempt. We have found value in adding elements of Classical Education to each year of Middle School and High School. If you want to try this in your home, I highly recommend getting some resources from Memoria Press as they have done the bulk of the Teacher Prep for you. 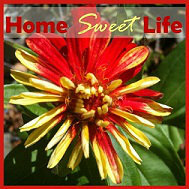 I have found great value in their resources, at reasonable prices, even for a frugal Mom! The Crew has been reviewing several different levels of Literature Guides from Memoria Press, click the banner below to read all the reviews. I felt the need to follow up yesterday's post about sharing the housework amongst the family with an honest ~ right to the point ~ post about HOW to teach your children to clean. 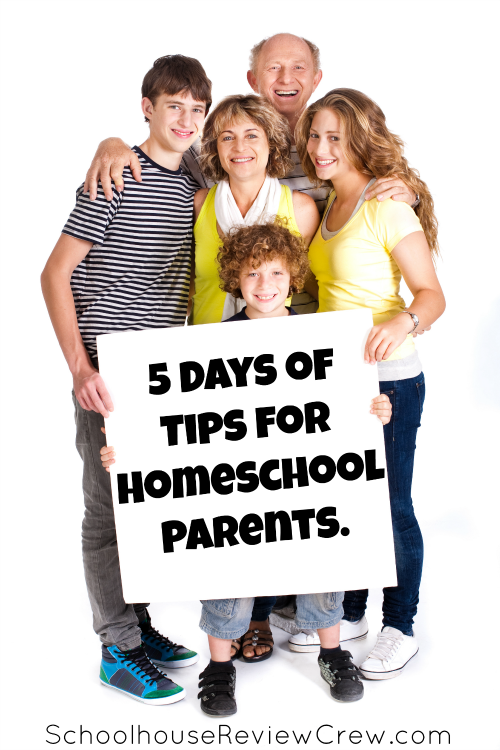 Here are today's tips for Homeschooling (or any other) Parents! First up ~ You've got to clean up your cleaners! Many of the cleaners commercially available at the store are a HUGE no-no for children to even be around. Let's face it, some of them even make me squirm the ingredients are so toxic, and I'm the one who puts them on the shelf for my day job! 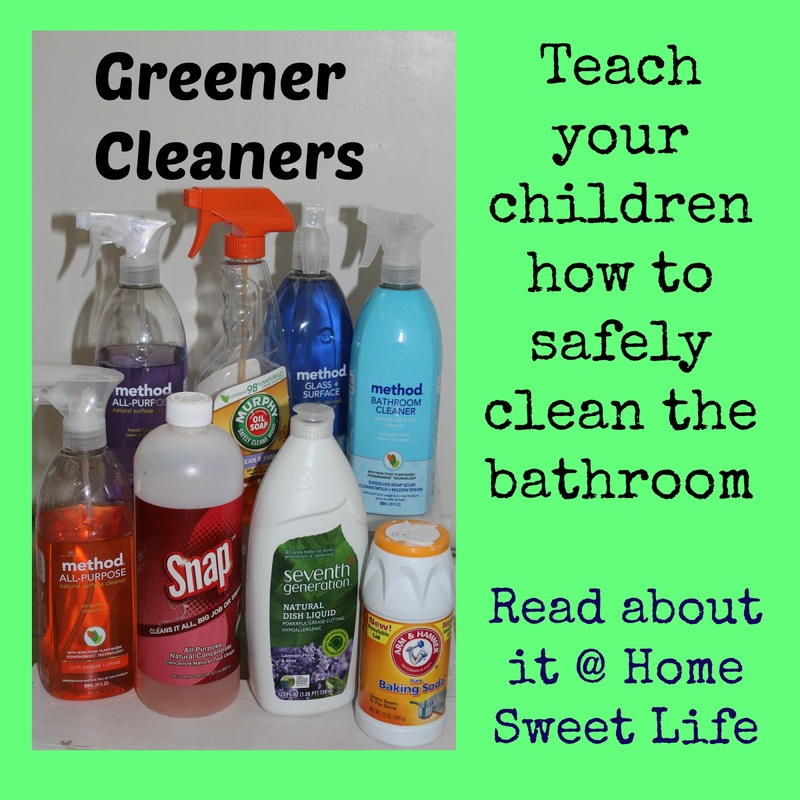 This isn't about bashing any brand, sometimes YOU the parent are going to need something pretty strong to clean something really disgusting, but for almost all household jobs, greener cleaners work well. Look at the picture below. Along the bottom are the front of three different toilet bowl cleaners ~ all from the same manufacturer. One is probably ok for tweens and teens to use with caution... that would be the one labeled CAUTION. The other two should only be used by adults, with gloves on...and the DANGER one should not be used unless you're wearing goggles, gloves, and a mask. Seriously people, what are you exposing yourselves to in the name of saving five minutes cleaning the bathroom? If you want the cold, hard facts, click over to this post from the Ecology Center where you'll find out that DANGER chemicals can be fatal with less than a teaspoon. 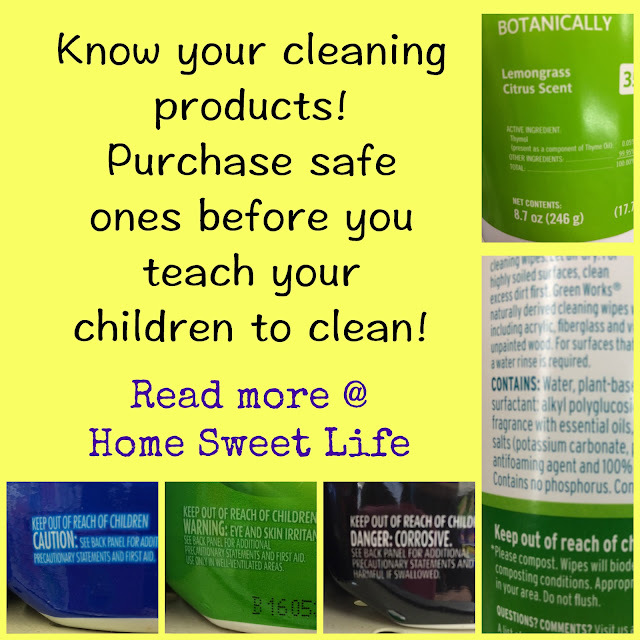 Let's take care of our cleaning and our families and talk about using something less toxic. There are so many cleaning products available at the local market these days that are safe for use around children, and by children, that we just need to clean up our cleaning products. The two photos on the right (above) are of two cleaning wipes that I found at my local grocery store...both of which we've used before. Neither of them require a warning label because they are made out of plant ingredients...oh, what? 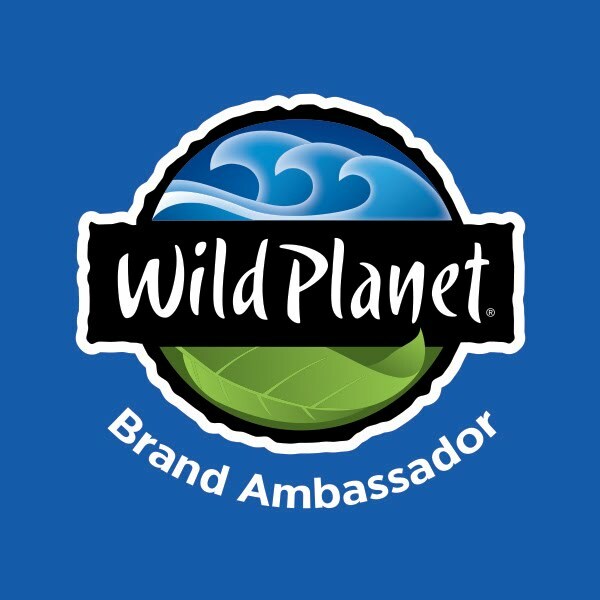 Yes, they're made out of plant-based soaps and essential oils. You can pick them up at your local store, and they don't cost a fortune. Amazing! In general, we still purchase products today that were safe for the girls to use when they were just 6 or 8. 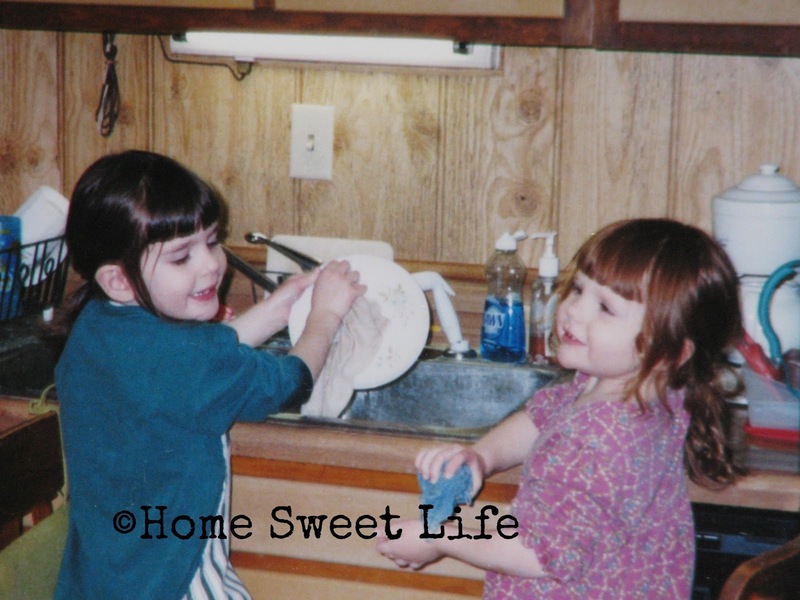 When they were little I bought a pair of rubber gloves for them to use, and I taught them how to use each product, and then wash their hands well with soap and water when they were finished. This is not rocket science people. Guess what? Now they're 15 & 17 and I can't remember the last time I had to clean a bathroom! To a working Mama, that is GOLD! OK, but you may still be wondering: how? Put everything back that should be on the counter, put the rest of it (like extra ponytail holders) away in the drawer/ cabinet. Spray the outside of the toilet tank, seat, and base ~ remember to spray the handle too! Spray all surfaces of the shower wall, tub, faucet, etc. Wipe all areas they can reach. Then rinse with clean water. If you have a hand-held shower you are golden, if not, you'll have to show them how to use a bucket to pour water over the shower walls to rinse them. Rinse out the tub a second time to make sure you've removed all the cleaner. Return all the soap, shampoo, etc. Clean any walls that get dirty often, and the door, especially the door handle by spraying, wiping, and scrubbing if necessary. Note: Your littles are not going to be cleaning your mirrors until they are about 10. Before then it is an exercise in futility because they either use too much glass cleaner, or not enough. Just do the mirrors yourself until they get older. Also- you may want to have them spray the bathroom cabinet (if you have one under the sink) or the sink pedestal. That would come after cleaning the sink, and before doing the toilet. This probably only needs done twice a month unless you have toddlers who brush their own teeth-LOL! If you have particularly difficult sink or tub, make a paste out of baking soda and scrub with it. Ta Da! A clean bathroom! Ok, I'll be honest. The first few time (or weeks) the bathroom will not be as clean as if you did it yourself. That's ok, because you're going to give them two opportunities each week to clean the bathroom. What they miss the first time, you can help them remember the second go-around! Over time your children will get a lot better. Sometime you're going to have to go back and remind them of the little things...like when they forget to wipe that tiny area behind the toilet seat in front of the tank, or that sliver of space between the back of the faucet and the wall. As they continue to do the chore, it becomes more of a habit, and they get better, Plus, the bathroom is no longer waiting on you to "get around to it" so the layer of grime or soap scum is thinner and easier to clean. If you have a particularly bad or old toilet, look for a Pumie Stone. They're great for really hard water areas! We bought this one at Kroger and have used it for several years. 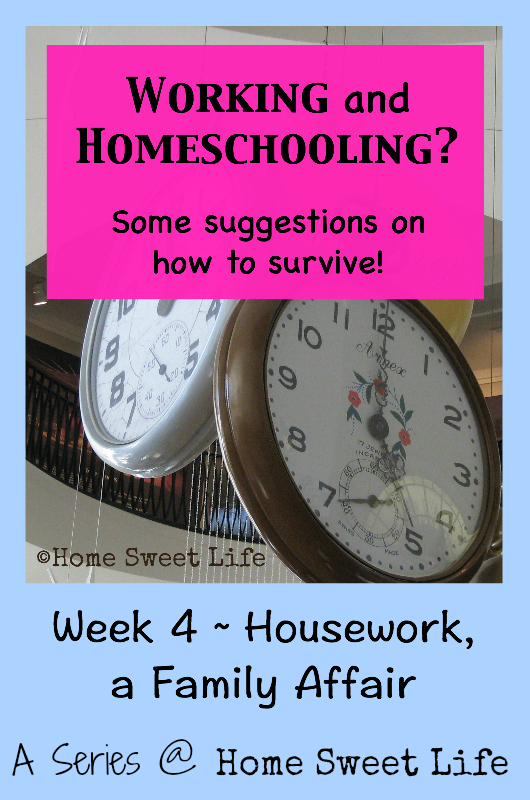 Welcome back to this merged edition of 5 Days of Tips for Homeschool Parents and Week 4 of our Working and Homeschooling Series! Hopefully you'll see how these two fit hand-in-hand when it comes to housework! I'n not going to number today's tips, I'm just going to give you some honest thoughts on keeping the housework done at an acceptable level, and keeping your sanity. Don't expect perfection: life happens, your children are at home, so your house probably won't ever look like the cover of a magazine. That's ok! Your children are much more important than a squeaky clean floor. I'm not saying to settle for a mess, because that makes everyone lazy. What I'm advocating is a reasonable level of cleanliness, and a weekly walk through with the big trash bag! Split the chores up between everyone. Ok, in some houses Dad is not home from work long enough to do chores on a regular basis and still spend time with the children. In this case, divide the chores amongst the remaining walking individuals. If a child is big enough to walk over and take out their own toys, they're big enough to pick them up and put them back. Does this seem harsh? It shouldn't. Perhaps you just have too many toys per child. In that case, find a local women's shelter and donate some of your quality excess toys to other children. No, they weren't writing in compete sentences yet, they just wanted to help... so I let them! Be consistent! If you can only get the bathroom cleaned once a week, then be consistent and clean it on the same day every week. Pick up the trash the afternoon before it needs to go out every single week, then it doesn't get missed! If you assign a child a chore...like feeding the dog... then make sure that child is daily doing their chore. Follow up with them until it becomes a habit. Then, teach them a new skill! Teach skills well. You must first model to your child what you want done. Show them! Then you must do the chore with them. Then you need to watch them do the chore themselves. Finally they will do the chore independently and you'll just need to check in on them for quality control. For some children this takes a few repetitions, and they learn a new skill quickly. For others, it may be months before they can do a task by themselves. Anticipate glitches. Your children are all going to learn at different speeds, and for a while, it will take you long to be their employer than to do it for them. Resist the urge to just do it for them. Work with them. If they need step by step instructions in either pictures or words, either write it out and put it in a sheet protector (or laminate it) or purchase one of the sets from a reputable supplier like TimesTales.com. Help them learn to work through each chore one step at a time. Do the next thing. When you first start assigning chores, you might be overwhelmed. Take a couple minutes to walk through your home with a notepad in hand. Make a list of what you see that needs done, then you can teach/assign the chores that are easiest first and work on your own list. As you get the major things finished, you'll develop an idea of how often each thing needs completed. It's a good idea to make a chart or list of some sort to hang where everyone can see it. Once you've gotten in a new groove, your older children will know what is expected of them daily. Until you get there, write it down, and check it off. Life is a work in progress, and shh...I'd rather have teenagers with messy rooms than not have children! So we work on the level of mess being small, and we work towards being responsible adults. Finally, don't be afraid to ask Dad to help! There are going to be things that are just too difficult for you to do on your own ~ like sweeping behind the couches, or cleaning the top of the ceiling fans ~ where it just makes sense to ask Dad to help. There are so many things to think about when you begin educating your children at home, that parents can get easily frustrated or overwhelmed. Don’t let this be your fate! There are a few things you DO need to focus on, and a lot of things you don’t need with young children. My friend Katie refers to elementary aged students as “littles.” Over the years I’ve adopted this term myself, as it separates those children who really need you to do most of the work with them, from those who are mature enough to start working independently. Some littles like to work on their own, but their ability to do so is still limited by time, experience, and reading ability. These truly are the formative years: for your teaching style, their learning styles, and the two-way communication you’re going to need before they reach High School. 1. & 2. There are two major things you do NOT need in the Elementary years: technology, and comparison. 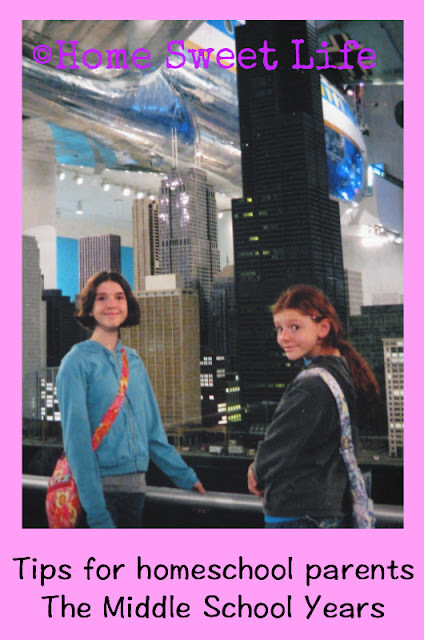 For a better understanding of The Dangerous Comparison Game, click over and read my post from week 3 of my Working and Homeschooling series. The second thing you do NOT need at this age is technology. Don’t shoot me before you hear me out! Technology teaches along a different neural pathway than reading does. When your children are littles, you need to be reading to them, reading with them, and teaching them how to read. I understand that there are a lot of quality apps out there that are available to help you, but you don’t need them!!! YOU need to be spending time daily with your children. Stow the technology away for special events, or when you’re desperate because someone in the family is on-the-couch-all-day sick, or you loose your voice. 3. Littles thrive on Mom and me, or Mom and us time! They also love Dad and us time. Do something together. What the activity is isn’t as important as that you’re doing it together! Read a book out loud, play Candyland, count birds, whatever you can find, do it together. If you are educating your children at home you want to be the biggest influence on their lives ~ you can only accomplish this by being there! 4. There are a few things you do need to educate your littles: a Bible, lots of prayer, a Library card, and a few basic school supplies. I mean basic supplies people, not fancy decorator things. When the girls were little we homeschooled with used math books, a library card, and about $25 of school supplies from Wal-Mart. If you shop during the back-to-school sales in late July and early August, you can still get quite a few supplies for $25! 5. As the parent with little children, you must teach yourself how to relax. This is (hopefully) just the beginning. It is a long way from First grade to graduation! God has a plan for your child, and He will reveal it in His timing. The only way to follow His path is to search for it, listen for it, and pray about it. 6. No two children are alike! You are going to be doing a lot of encouraging strengths, and working patiently to overcome weak areas, in the coming years. What works for your first child may or may not work for your second child. This is why I am a big proponent of NOT purchasing a lot of curriculum for elementary aged children. Library books are wonderful. You can check them out, read them together, and then return them. Stop thinking about how YOUR elementary education went, and start thinking about a better method. Strive for a better education for your children by letting them be children. Let them explore, let them move around, take them outside: to the park, to the woods, to the post office. Then take them home and read to them. You’ll teach them to read a little bit at a time, and you’ll work on math a lot, but your children will still have wonder in their hearts for this great big, interesting world that God has made. Cultivate the wonder! Take time to be you! 7. It is so easy to get wrapped up in the education of your children and forget to take time to be you. Not time for Mom or Dad, but time for Mary or Joe, Susan or Ralph. If you take just a little time each week to work on some adult thing that you enjoy, whether it’s sewing or fishing, fixing cars or learning to ski, you will be a better parent. Parents of littles who set aside a small time each week to ‘just be adults’ seem happier, healthier, and less prone to lose their cool when their children start pushing their buttons. And they will ~ they'll push your buttons. It’s a part of learning about boundaries. Be the parent, and still be your own person, and you’ll be better able to model healthy boundaries in your own life. 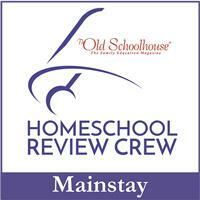 For more about "Mom and Dad time" read my week 2 post about homeschool schedules. 8. Finally, my number one tip for homeschooling elementary aged children? Prayer, lots and lots of prayer, and then some more prayer, and maybe a little nap. As we think today about Christ's crucifixion, let us not forget what happened three days later - His resurrection! Christ's disciples did not fully understand God's plan. They were afraid, and they scattered. The Gospels only mention John as being at the crucifixion. At times, we are like the disciples, we don't understand God's plan, and we often fear the outcome. Take heart! Christ overcame the world, He overcame death, and He offers to us eternal life. The cross used to be a symbol of shame, it was how the Romans killed the vilest of offenders, how they warned others not to commit the same acts. 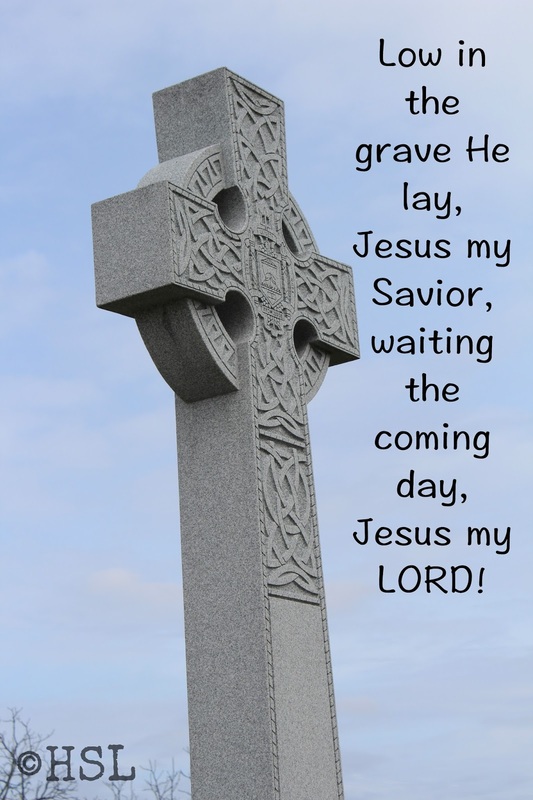 Since Christ arose, the cross has become a symbol of hope! It reminds us that Christ died for our sins, He took our place. 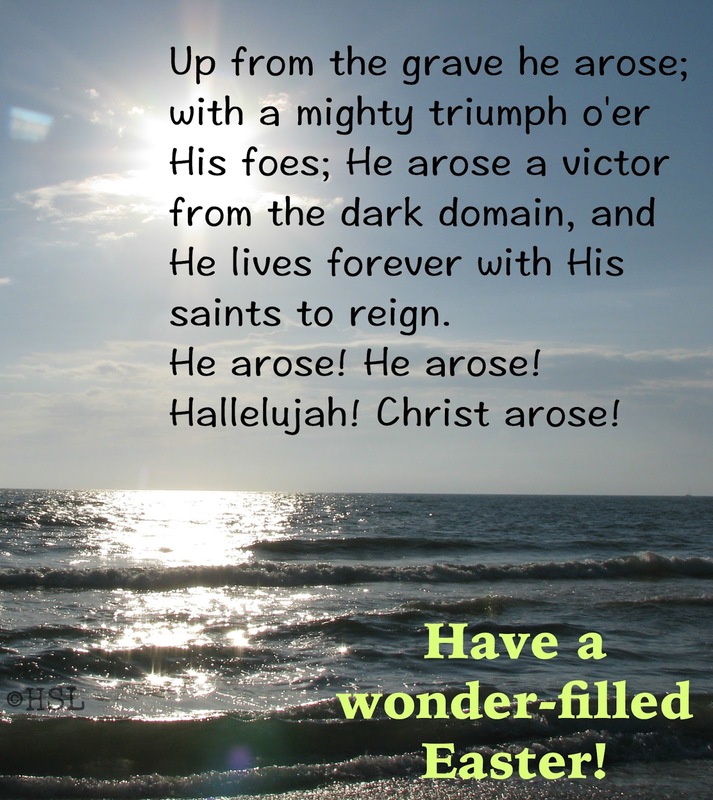 The hope of Easter is in His resurrection, and our redemption.